Successfully Added Android 4.2 Smart TV Media Box 'Combox II' - 2MP Camera, RK3188 1.6GHz Quad Core CPU, 1GB RAM, Keyboard + Mouse Combo Controller to your Shopping Cart. Android 4.2 Smart TV Media Box features a 2MP Camera, RK3188 1.6GHz Quad Core CPU, 1GB RAM plus a Keyboard and Mouse Combo Controller to really make your regular TV become smart within seconds. 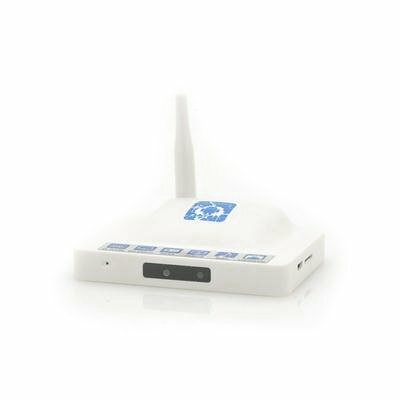 This is the Combox II, and it is one of Chinavasion’s most powerful Android TV boxes while at the same time is also one of the smallest about. Coming with a super fast 1.6GHz Quad Core CPU and 1GB RAM, the Combox II is the definitive device to turn your regular TV into an Android Smart TV in just seconds. Just connect the box to your TV through the provided HDMI cable and witness how you will suddenly have access to thousands of applications in the online Google Play store, unlimited multimedia options and so much more. Featuring a built-in 2 megapixel camera, the Combox II is also well suited to replace your PC when making Skype calls or video calls with friends or family. 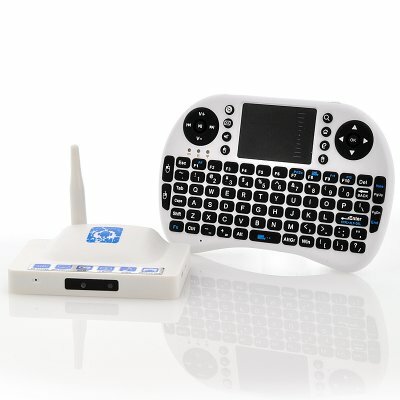 Browsing the internet, playing games and inputting text will be a true breeze by using the included remote keyboard and mouse in one controller. A whole selection of media shortcut buttons can be found on the remote and a touchpad lets you accurately control the mouse cursor, all with just one device and with an awesome 10 meter range. Now in stock, the Combox II can be shipped out within one working day and comes with a 12 months warranty. Brought to you by the leader in wholesale Android Smart TV boxes, Chinavasion.